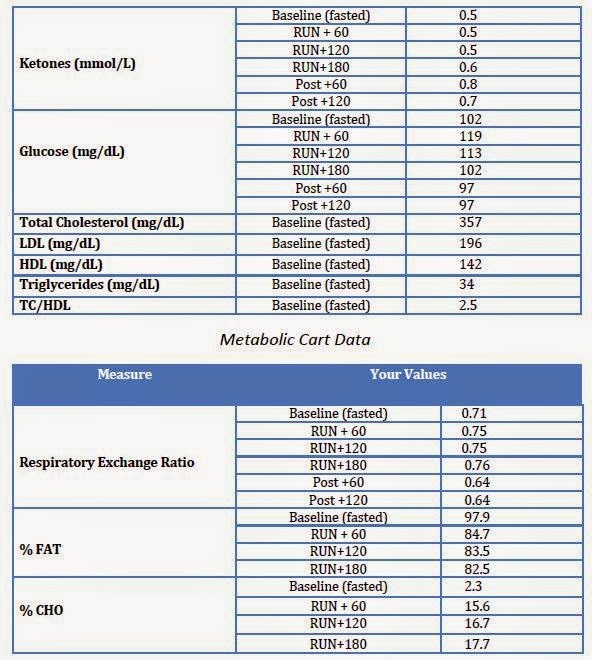 RunKeto.com: More FASTER results released! I believe that this is the last of the individual results from the FASTER study. Now it is just a waiting game for the published study. 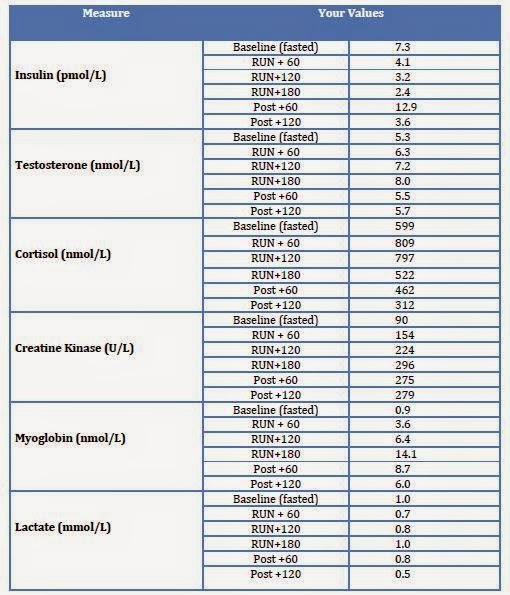 *Ketone values were edited 11/28/14 after being sent a revised set of data from the researchers. 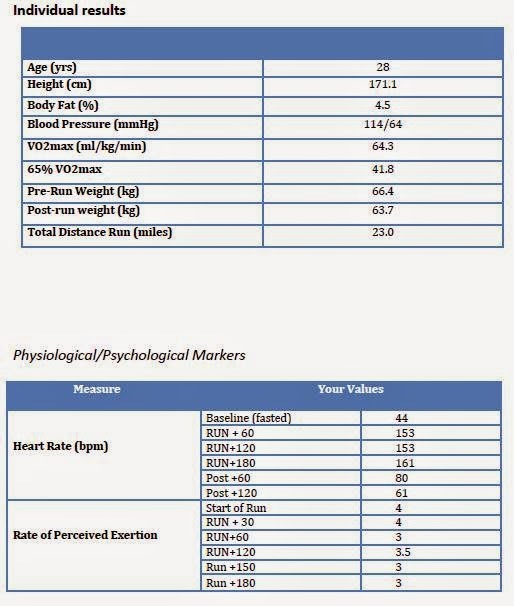 This is from Phase 2.5 of a study I participated in yesterday helping to calibrate personal calorie monitors. They work by measuring evaporation off the body. 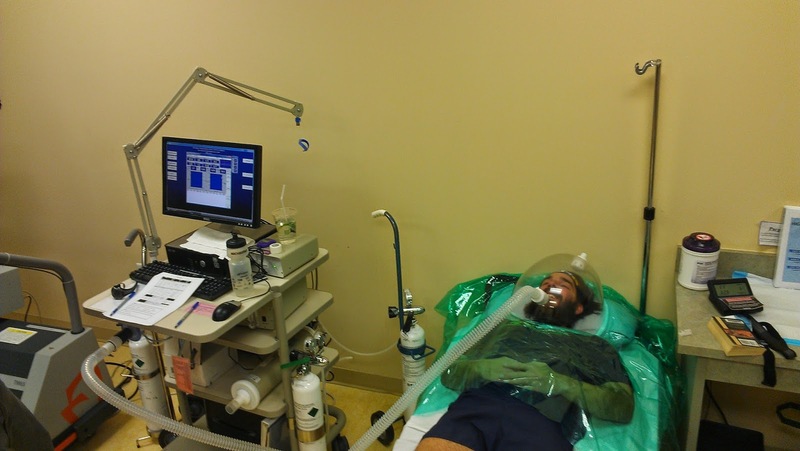 I'll should get some resting metabolic rate info from it in the next few weeks. Have a wonderful and keto turkey day tomorrow!